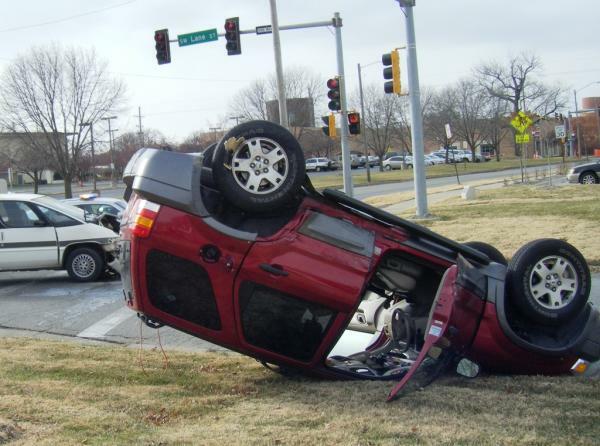 Our Michigan car accident lawyers often handle cases for clients involved in rollover accidents. Determining the cause of an SUV rollover and the parties responsible can be a difficult and complex process. The auto and tire industries have been slow to accept responsibility for the design defects which cause or contribute to cause vehicles to roll over. In almost every case, they attempt to blame the driver for failure to maintain control of the vehicle or driving too fast for conditions. We hire the best accident reconstruction experts available to dispute their claims and to win cases for our clients. Rollover motor vehicle accidents quite often result in life altering injuries, permanent disability or even death. Injuries often include spinal cord injuries, traumatic brain injuries, severe orthopedic fractures, and other serious injuries. Cases involving death can give rise to a Michigan wrongful death lawsuit. Personal injuries from rollover accidents can occur in any vehicle including passenger vehicles, but minivans, pickup truck and sport utility vehicle (SUV) have a greater chance of a single vehicle crash rollover. This is primarily due to the fact that these vehicles are taller (higher center of gravity) and narrower. Individuals injured in an auto accident should contact the Michigan car accident firm of Buckfire & Buckfire, P.C. As always, every case we accept is operated under our strict No Fee Promise. This means that it will cost you absolutely nothing to meet with one of our attorneys, explain your situation, and receive the information you need to move forward. If our attorneys believe you have a case, they will begin working on it immediately. If we are unable to reach a settlement or jury verdict, there will still be no cost to you. There is nothing to lose so contact one of our award winning lawyers today at (800) 606-1717 or fill out the free case review form on the side of this page. It's that simple! Keep in mind there are strict time deadlines for filing Michigan auto accident cases. If you fail to meet the deadline for your case, your claim could be lost forever. This is why it is so important to contact an attorney as soon as possible about your situation. It can literally be the difference between the rightful compensation you deserve and nothing at all. Call today!